You are here: Home / Recipes / Drink Recipes / NEW Keurig Compatible Pods: Keeping it Cool w/ a Nabob Chocolate Hazelnut Coconut Iced Coffee! 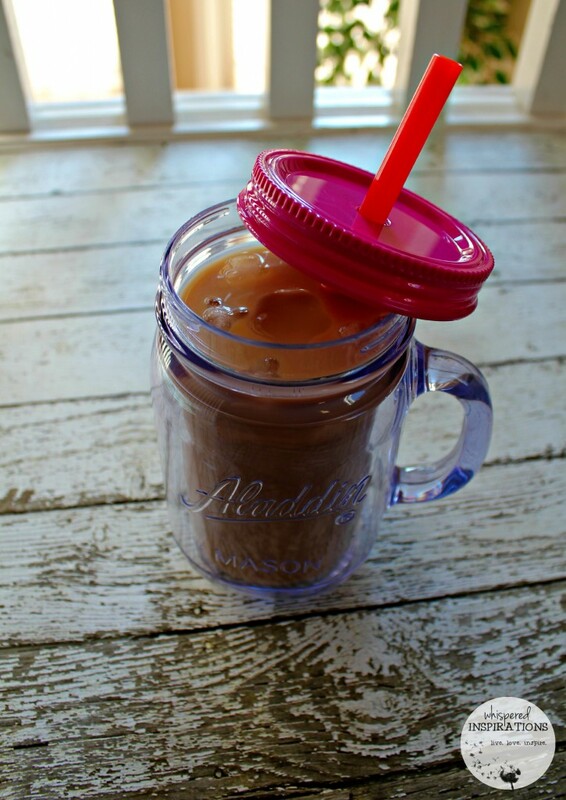 NEW Keurig Compatible Pods: Keeping it Cool w/ a Nabob Chocolate Hazelnut Coconut Iced Coffee! Many of you read about my experience with the NEW Keurig®* Compatible Pods from Nabob, Gevalia and Maxwell House. Which by the way are all available at your nearest grocer! But, you may wonder, am I still digging them? Well, the answer is YES! So much so that I’ve gone out and purchased even more of my favorite blend from Nabob. Nabob is Coffee. Pure and Simple. You can really taste the flavor, authenticity and the delicious difference of over 115 years of coffee expertise and passion in every cup. I especially love the light roast of the breakfast blend and upon trying it have since been obsessed with it. It is available in Midnight Eclipse, 100% Columbian, and Breakfast flavours. Since I do love my coffee, drinking it year-round is a must. But, with the dog days of summer, well, it just gets too warm. I’m not a fan of drinking a hot cup of coffee in 90-degree weather unless I am inside with air conditioning. Otherwise, I will take my Nabob but, with ice–stirred NOT shaken! 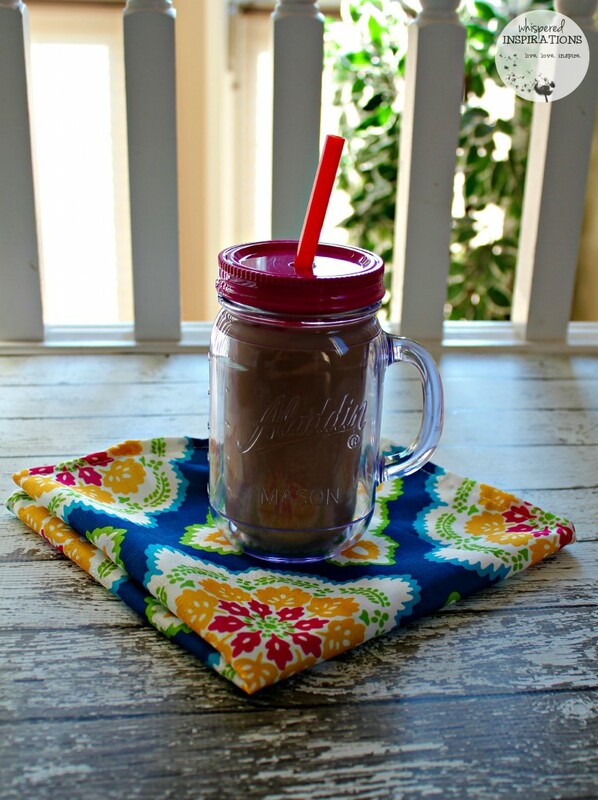 Nabob Chocolate Hazelnut Coconut Iced Coffee. You read that right. It is a whole lot of deliciousness in your cup and you can make it any time of the day. It is very simple and trust me, your taste buds will thank-you! So, while my love affair with the NEW Keurig®* Compatible Pods is still going strong, I love how affordable it is to make great blends of coffee at home and that they are versatile to be transformed into iced or blended coffees when I need a cool-down. 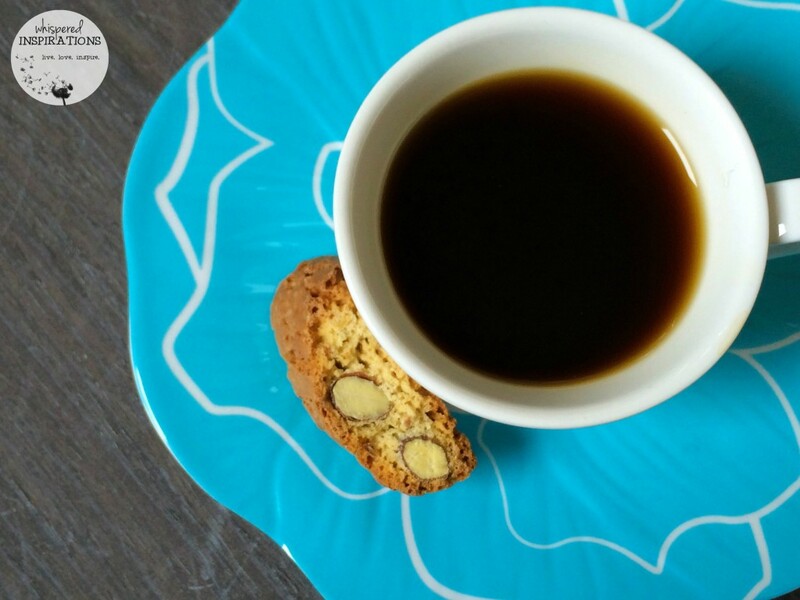 Of course, Nabob is my favorite but, you can make these with Maxwell House and Gevalia too! A delicious and refreshing iced coffee with rich flavors. 1 TBSP of Hazelnut Spread. 1/4 cup of Coconut Milk. 2 TSP of Stevia or to taste. Brew your Nabob Keurig®* Compatible Pod. Take a tbsp. of your favorite hazelnut spread and mix into your hot coffee until fully melted. Once coffee is cool, add 1/4 cup of coconut milk. This blend will work with any of the Nabob, Gevalia or Maxwell House Keurig®* Compatible Pods. Enjoy! How did YOU like the Keurig®* Compatible Pods? Note: *Works with Keurig® K-Cup® brewing systems. Not compatible with Keurig Vue® coffee makers. Keurig®, Keurig Vue®, and K-Cup® are registered trademarks of Keurig, Incorporated. Keurig, Incorporated is not affiliated with Kraft Canada Inc. Although this post has been generously sponsored by Kraft Canada, the opinions and language are all my own, and in no way do they reflect Kraft Canada. ** NO PURCHASE NESSESSARY TO ENTER OR WIN. Winner must leave at least 1 comment to be entered in the draw. Additional comments will not increase chances of winning. Winner will be randomly chosen. Winner must reside in Canada and be 18 years and over. Winners from my first blog post have until Thursday July 17, 2014, 12pm to post a comment. The winner will be contacted by sheblogs on July 18, 2014 by 5pm EST. As for me, If I have the time, I hope to buy a few extra ingredients and perhaps see how they perform as frozen coffee ice pops. I find lighter brews best for this, so I am guessing the Gevalia and the Nabob will perform best for me. My husband and I both tried all three Keurig compatible Maxwell House, Gevalia, and Nabob coffees. All three seem to have a better flavor than the regular coffee pods. But because of the plastic covering on top it seemed to punch a bigger hole which leaked out a few coffee grounds in your cup sometimes. It wasn't enough to ruin your coffee or anything like that. I will probably be buying them again. Thanks for letting me try them. Oh noo, did you remove the pods from the plastic container? My pleasure though, glad you liked them! I absolutely loved the Dark Roast Maxwell House k-cups coffee. I was not used to drinking a dark roast coffee prior to trying these, but after my first few sips, I was quite impressed. The coffee was smooth and not overbearing. Maxwell House has delivered a true quality product with their Dark Roast K-cups. I’m now a huge fan of their Dark Roast! Awesome coffee to start my day!!! That is so awesome!!! I love to hear when you have a different perspective after you\’ve tried something. Yay! The New Kraft Keurig Compatible Pods were pretty handy during my morning routine and super easy to use! Just remove the inner filter, add water to the machine and you have a delicious coffee within seconds. No mess and no pod cleaning. Being used to the full on plastic cups, I was happily surprised to find that the Maxwell House Keurig Compatible Pods are mainly filter instead of plastic! I've never really been a huge fan of Dark Roasts because they are usually too strong and leave a bitter after taste, but the Maxwell House Dark Roast has a nice bold taste with NO aftertaste. Goes down smooth and has a nice rich, almost smoky flavor. I really enjoyed the Gevalia Keurig Compatible Pods because the coffee was really smooth, yet rich and not bitter. It is coffee the Swedish way. Just waiting to be savored! The Nabob Breakfast blend is a light Medium Roast breakfast blend, with pleasant floral notes. I really enjoyed this one as well. I will be buying all 3 of these Kraft Keurig Compatible Pods again! I only got a chance to sample 2 types, as I received two boxes of the same variety, not all three. I found the Maxwell House Dark a little weak for my liking (and that's the one I got 2 boxes of), but really liked the Gevalia Signature Blend – it's classified as a medium roast, but I found it bolder than the Maxwell House Dark. I would definitely buy the Gevalia again. It's a great wake-me-up coffee! I am sorry you didn\’t get to try the Nabob, it is a very light blend. Glad you enjoyed the Gevalia! Me too, Nabob was definitely my favorite! What better way to start the day than with a cup of coffee! I've been using my Keurig for about a year (typically with the flavoured coffees– caramel, coconut…) but I was delighted to give all 3 (Nabob, Gevalia & Maxwell) from Whispered Inspirations a try. I have to say the breakfast blend (with a shake of cinnamon and coconut almond milk) is my favourite! Thanks for the opportunity to give these a try! I really enjoyed all 3 of the new flavours. My favourite was the the Nabob breakfast. Then my second favourite was the Maxwell House. The Gevalia was a little stronger then I'm used too, that is the only reason it came in third. I have been using a refillable pod to make my coffee. I was so excited to have been picked to test out 3 great brands of coffee. They where very easy and convenient to use. My normal brand is Maxwell house but after trying all three, I would now buy Nabob coffee too. Thank you for the wonderful opportunity to participate and enjoy three wonderful brands. With the patent on K Cups expired, we now get to see a whole new generation of coffee flavours and blends from a variety of vendors. Nabob Breakfast Blend, Maxwell House Dark Roast, and Gevalia Kaffee Signature Blend are three examples of this. Maxwell House Dark Roast: I was very iffy on this as the name conjured images of bad TV commercials from the 80s and bland coffee grounds sold in glass bottles. I tried this in this afternoon to give me that pick-me up to get me through to quitting time. This is a dark roast with a richer flavour and "mouthfeel" owing to it's full-bodied characteristics. Unlike more expensive brands, it has that Americano taste that most coffee drinkers will be familiar with. It stays with you after your first sip and long after the cup is finished. And the best part? That rich aroma that heightens the senses and makes the flavour that much more enjoyable. Exactly what I needed! Gevalia Kaffee Signature Blend: I have never heard of this brand prior to receiving the samples. It fits somewhere in between the above two coffees with a more balanced roast done to a medium body. What struck me was how smooth the flavour was and how the added cream really brought out that coffee bean flavour. There was none of the bitterness you find from an improper roast, just a fantastic rich flavour that doesn't overpower. I would definitely have this as an after dinner treat (maybe with something sweet on the side) to wind down the day.